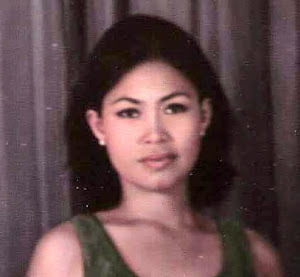 My mom asked me to post these three videos that she says remind her of her home in Mainit, Surigao del Norte. She found them on "The Pidjanga of Mainit, Surigao del Norte Blog". There are some really beautiful photographs on the blog as well. Can't see the video? Try this link. Here I am enjoying our nice weather with the same view as below. Unfortunately it isn't like this today. We're having one of our Spring storms, rain and wind, but it will be nice like this by Monday. Have a great Memorial Day weekend. 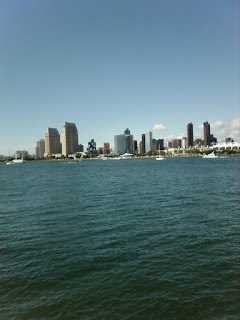 A view of San Diego from Coronado Island. The nicest weather in the USA. The first time I came here was 1981. I came back here in 1984 and have lived here ever since. Hi, Mom. 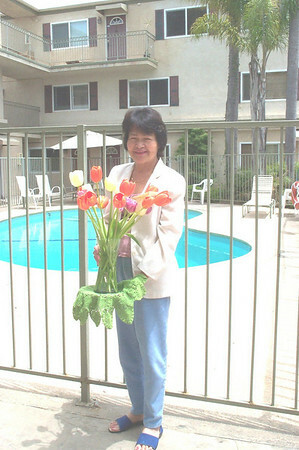 Welcome to the world of blogging, and Happy Mother's Day! Maybe you should sign-up for a myspace page. I've invited everyone of my family and friends that I have a current email address for to become a blogger. If I've left you or someone you know off the list, let me know and I'll be glad to add them, all I need is a current email address. If you've been added to the list, all you have to do to blog is to sign up for an account, I've already approved anyone I've notified of the blog to post to this one once you sign up. This blog is for the family and friends of Aida to stay in touch with each other and to share information.